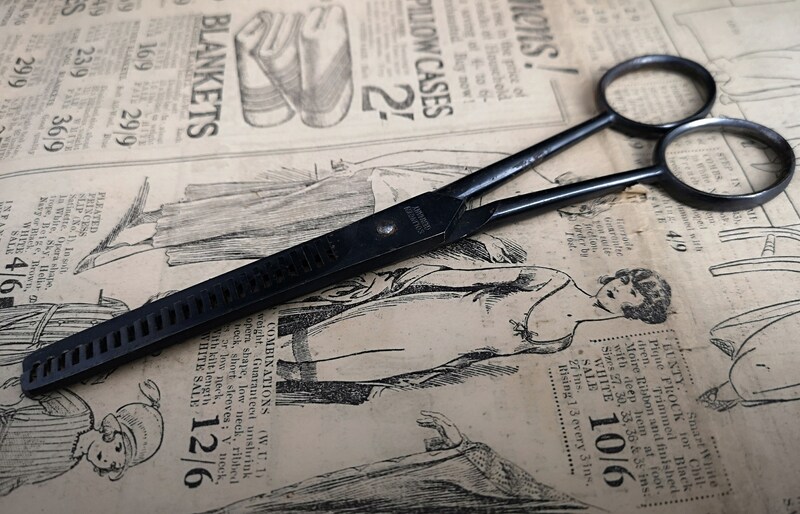 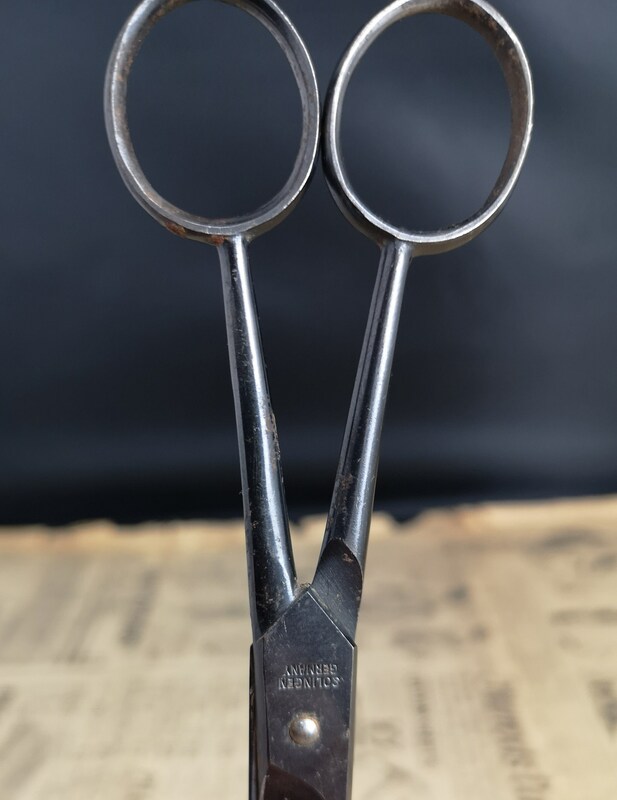 A lovely pair of vintage early 30s barber scissors made from strong solid steel by the renowned Solingen. 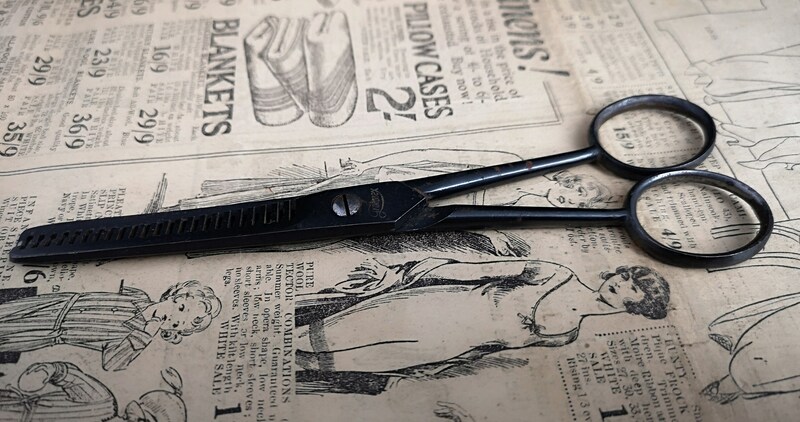 They are the Groomex model, not many about. 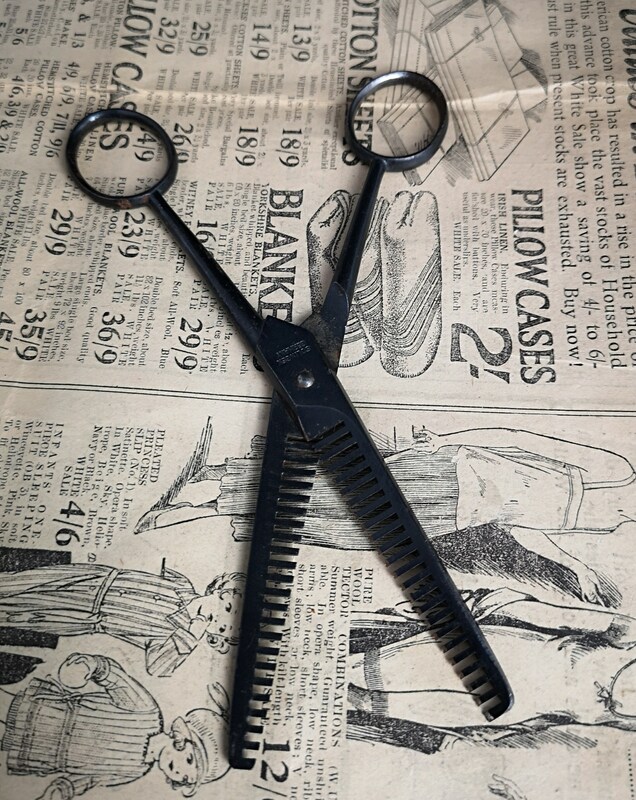 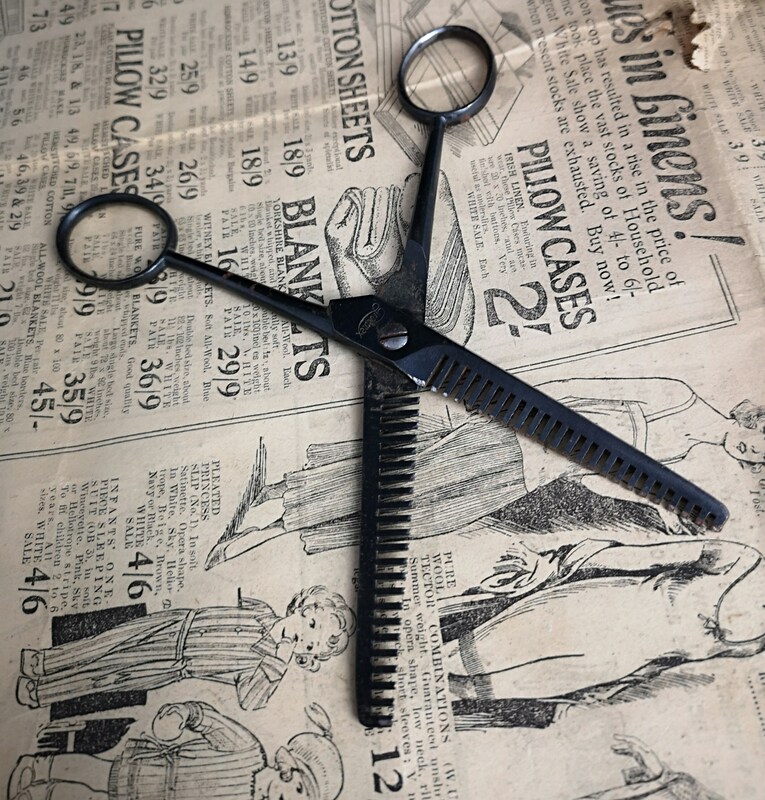 They came to us as part of a large collection of antique and vintage barber collectables. 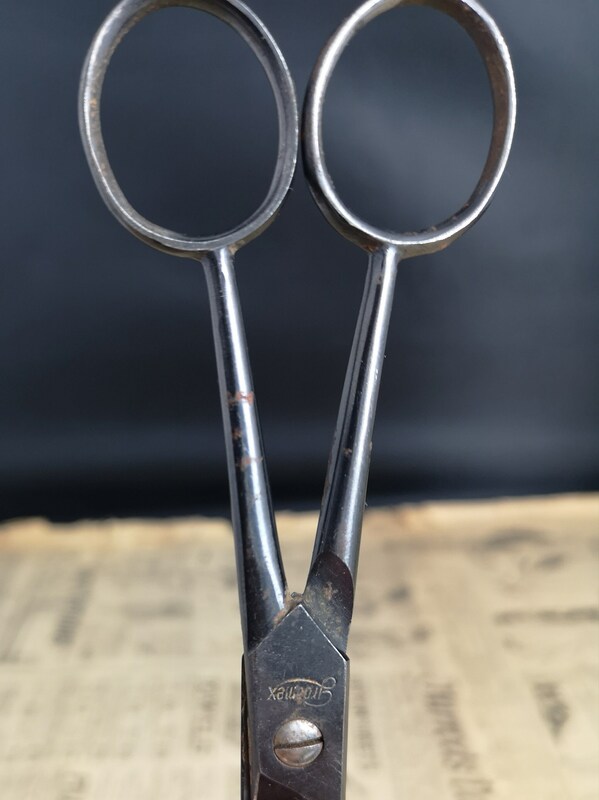 Approx 6.5" length and 2" width when closed.